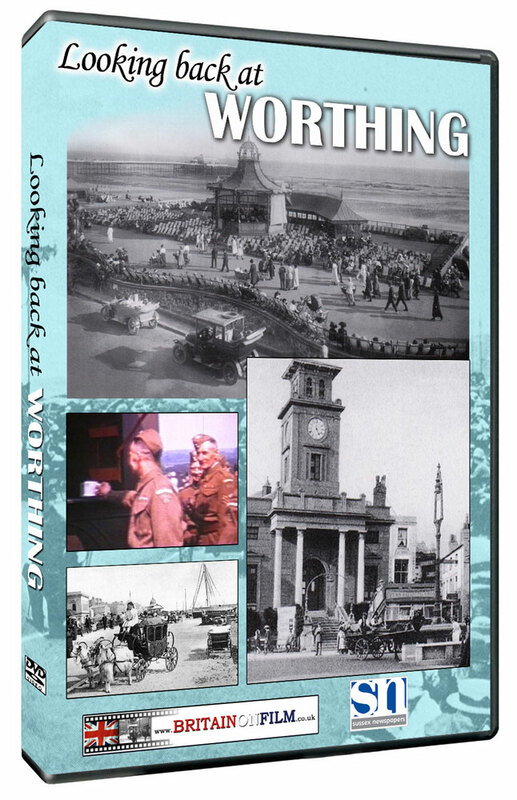 This fascinating DVD explores Worthing’s growth from an obscure fishing village to a thriving borough and fashionable resort for well-to-do Victorians. It recalls tales of street battles between smugglers and customs men, and riots when the Salvation Army came to town that reveal a darker side to the town’s past. It looks into the story of Worthing Pier and the misfortunes that have befallen it over the years. It relates Worthing experiences during World War 2, which proved more traumatic than anyone could have imagined. Broadwater resident C F Harris kept a diary of daily life in wartime Worthing, and his words provide a remarkable first-hand account of everyday life on the Home Front. 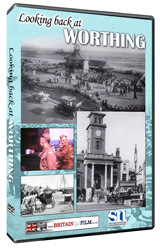 The commentary for the DVD contains many extracts from the archives of the Worthing Herald, which provide eye-witness accounts of events as they happened and an intimate insight into life in Worthing in times gone by. Narrated by Howard Ellison. Running time 50 minutes approximately. Produced in association with Sussex Newspapers.